Prof. Antonio “Tony” del Carmen is a seasoned entrepreneur. He has been involved in finance, aquaculture, real estate, information technology, education and training. Currently, he is the CEO/ President of STI College Santa Rosa and President of Prime Infoserve Management and Philpro Management and Development Corp. In 2008, Prof. Del Carmen started teaching Entrepreneurship at the Ateneo Graduate School and currently, he is the Program Director for the Master in Entrepreneurship Program. After completing his MBA at the AGSB, he pursued his PhD in Education Leadership and Management at the De La Salle University. His passion for education and training led him to be involved in various organizations that advocate transformation and excellence in the Philippine education system. He is presently the President of the Private Technical Vocational Educators Association of Region IVA (PTVEA) and a member of the Board of Trustees and Treasurer of the Coordinating Council of Private Educators Association (COCOPEA). 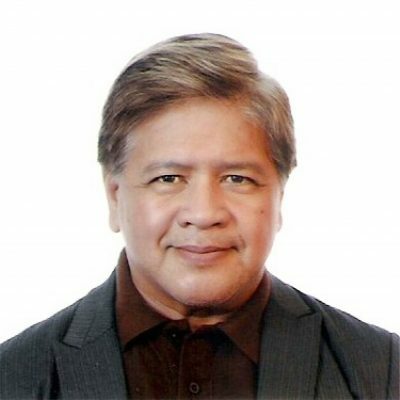 He is also involved in the National ICT Confederation of the Philippines representing the province of Laguna through the Laguna Industry Network for Knowledge, Innovation and Technology (LINK IT) where he is the President.